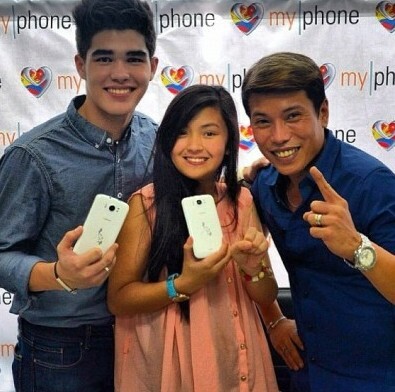 Karen Reyes, Ryan Boyce and Daniel Padilla Are The Latest Teen Endorsers of MyPhone! 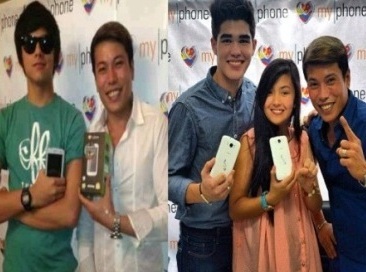 Kapamilya teen stars Karen Reyes, Ryan Boyce and Daniel Padilla are the latest endorsers of dual-sim mobile phone brand MyPhone. Daniel was first introduced as the newest endorser of the said brand by MyPhone owner, Mr. David S. Lim and MyPhone President Jaime R. Alcantara themselves. Few days after, popular teen loveteam RyRen also became endorsers. 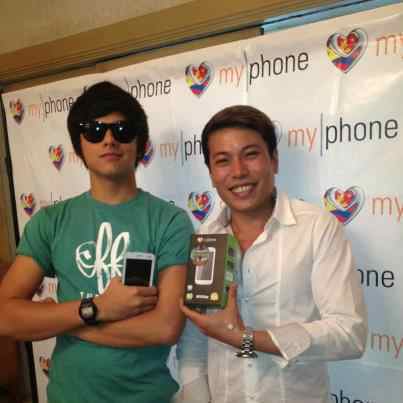 “It is our pleasure to welcome Daniel Padilla in the MyPhone family. He is one of the brightest stars of his generation. And since our company has much hope in the Filipino youth, we believe Daniel will be of great help in espousing our campaigns and advocacy among people his age,” says Mr. Alcantara. The Filipino mobile phone company prides itself not only for being a market leader in the local mobile communications landscape, but also for its advocacy of promoting Pinoy pride. Meanwhile, Karen and Ryan are very thankful for this new blessing. Their involvement with MyPhone trends in Twitter with hashtags RYRENandMYPHONE PerfectComBIEnation and #WeReallyWantRYANandKARENforMyPhone. Upon becoming a MyPhone brand ambassador, Daniel Padilla now joins his loveteam partner Kathryn Bernardo, and fellow Princess and I actor, Enrique Gil. Karen Reyes and Ryan Boyce are now part of the family with other MyPhone endorsers, Kapamilya stars Julia Montes, Martin del Rosario, Sam Conception and Kapuso celebrities Janine Gutierrez, Derrick Monasterio, Bea Binene, Barbie Forteza, and many more. your blogs published over the internet. Previous Post Rachelle Ann Go is The One To Beat for Miss Saigon! Next Post 24/7 in Love Earns P10 Million On It’s First Day of Showing!